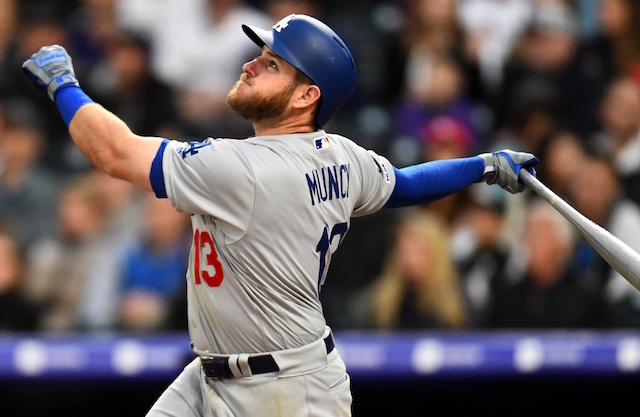 The Los Angeles Dodgers look to extend their home winning streak in Interleague play to 11 games while simultaneously completing a sweep of the Oakland Athletics on Wednesday night. They do so without Yasiel Puig in the lineup for the first time this season. 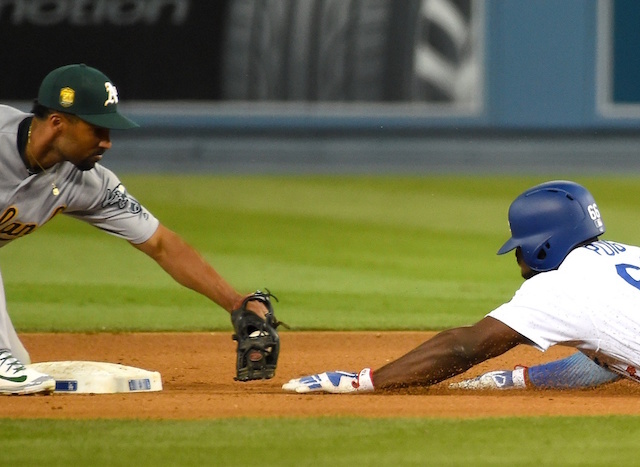 Puig is the last of the Dodgers’ regulars to receive a night off. He’s temporarily replaced in right field by Matt Kemp, who is coming off hitting his first home run with the Dodgers since 2014. Alex Wood takes the mound and looks to build on his strong start to the 2018 campaign. The 27-year-old was originally slated to start on Tuesday, but had his start swapped with Hyun-Jin Ryu upon dealing with a case of food poisoning. The southpaw dazzled in his debut, limiting the San Francisco Giants to a single hit over eight innings pitched, while striking out five batters and issuing zero walks in a no-decision. However, he wasn’t quite as effective on April 4, taking the loss at Chase Field against the Arizona Diamondbacks. Wood allowed a run during each of the first three innings, but settled in and allowed zero runs over his final three innings pitched. Wood has two career starts against the Athletics, with the last one coming in 2015. He allowed three earned runs in 5.2 innings at Oakland Coliseum, which was Wood’s fourth start for the Dodgers. The 2017 All-Star has compiled quite the record at the confines of home, assembling a 14-4 record, 2.34 ERA and 0.97 WHIP at Dodger Stadium. Opposing Wood is Daniel Mengden, who is looking for his first victory of the season. The right-hander has had a rough beginning to the 2018 season, suffering losses in his first two outings. On March 31, he surrendered six runs (five earned) on seven hits in just 5.2 innings against the Los Angeles Angels. His next start then came against the Texas Rangers, where Mengden allowed four runs (three earned) on five hits in 5.1 innings pitched. 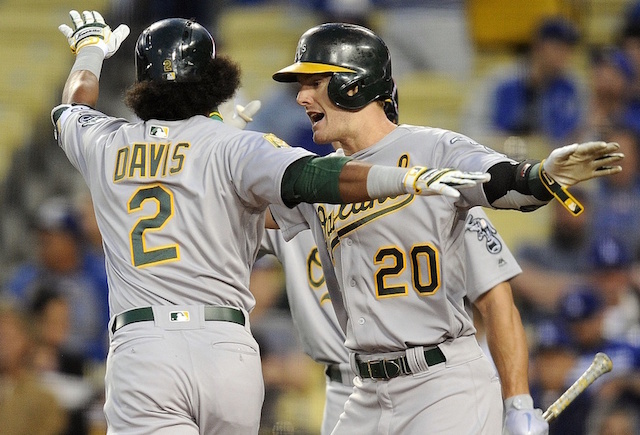 Mengden has been susceptible to early runs, giving the Dodgers a chance to jump out on him. He spent a majority of the 2017 campaign in the Minor Leagues, with call-ups in May, June and September. Trayce Thompson is starting in center field and batting eighth. It’s his first time facing the Dodgers since being designated for assignment before Opening Day. Thompson was initially claimed off waivers by the New York Yankees but then joined Oakland on a waiver claim of their own.